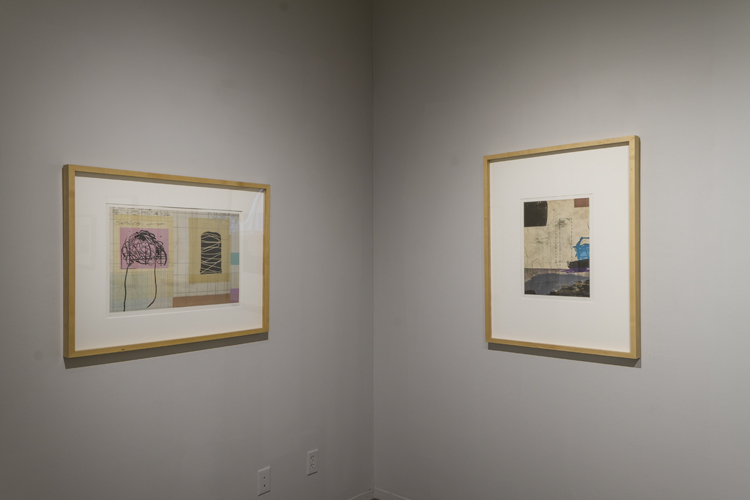 Shawn Reynar, Untitled, 2012, Intaglio, Lithography, Relief, Digital, Chine Collé, 12"x14"
Artist Talk Saturday, January 18th, 3pm. 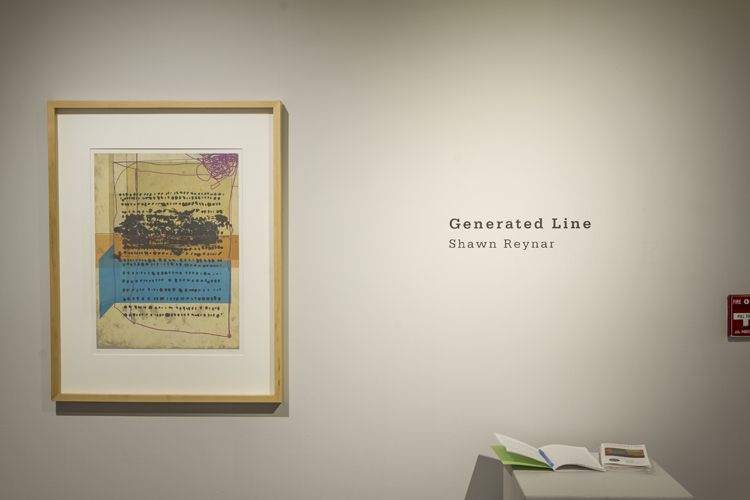 Generated Line “explores the connections between traditional media and how it interfaces with digital technologies specifically aimed at the growing vocabulary of print based processes. 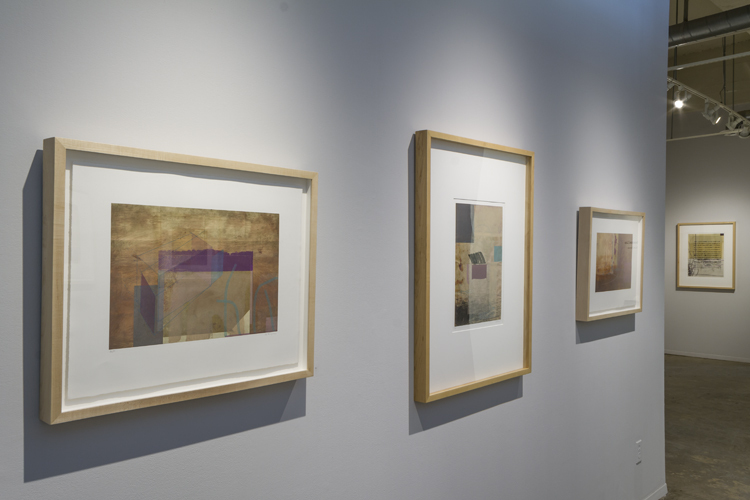 As a springboard for the creation of these abstract works, my research explores the history of mark-making and the notion of digitally generated line in relation to medical disorders that effect motor skills required for precision work. There is a great deal of uncertainty with regard to both the etiology and the diagnosis that surround these ailments. Motor coordination is an essential element required in our daily activities. As an artist, dexterity and skill are parallel to one’s drive and focus. I am interested in the character and quality of image that comes from these explorations. 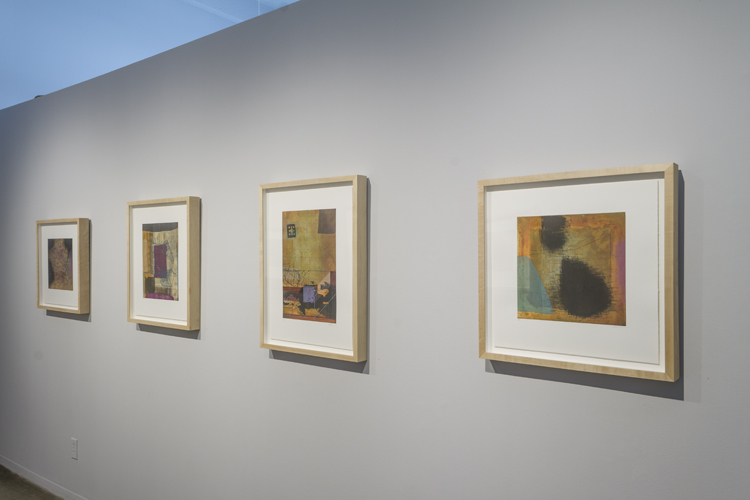 This is translated and evidenced in the imagery by the peculiarity of mark and line, which connotes both the artist’s struggle and determination; as well as the tension between the seemingly spontaneous and elements that are composed with control and reticence.” - Shawn Reynar. Generated Line will encompass the main gallery space. The exhibition brochure includes a response text by Steven Leyden Cochrane. 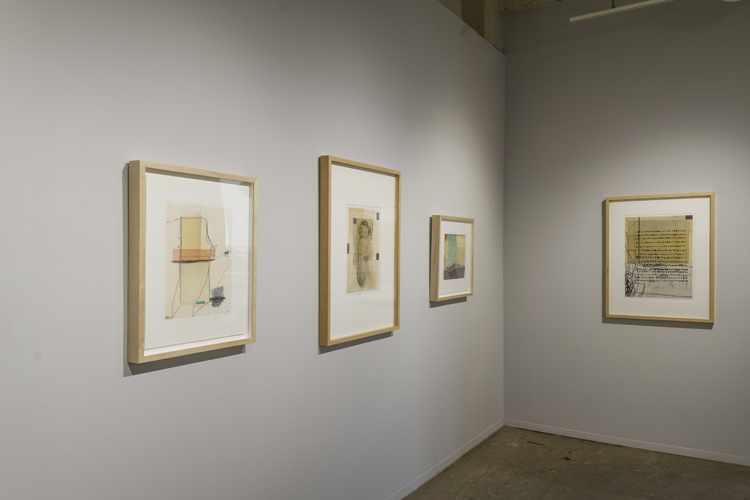 The artist will be present at the opening reception on Friday, January 17th and will be giving a talk about his work on Saturday, January 18th at 3pm. Steven Leyden Cochrane is a Winnipeg-based artist, writer, and educator from Tampa, Florida. He holds a BFA in painting from the Maryland Institute College of Art in Baltimore and an MFA from the University of Windsor. His work has been featured in exhibitions across Canada and in national publications including C Magazine, CV2, and Border Crossings. His critical writing has appeared in FUSE, Canadian Dimension, Uptown Magazine (Winnipeg), and the Winnipeg Free Press, where he contributes weekly exhibition reviews.